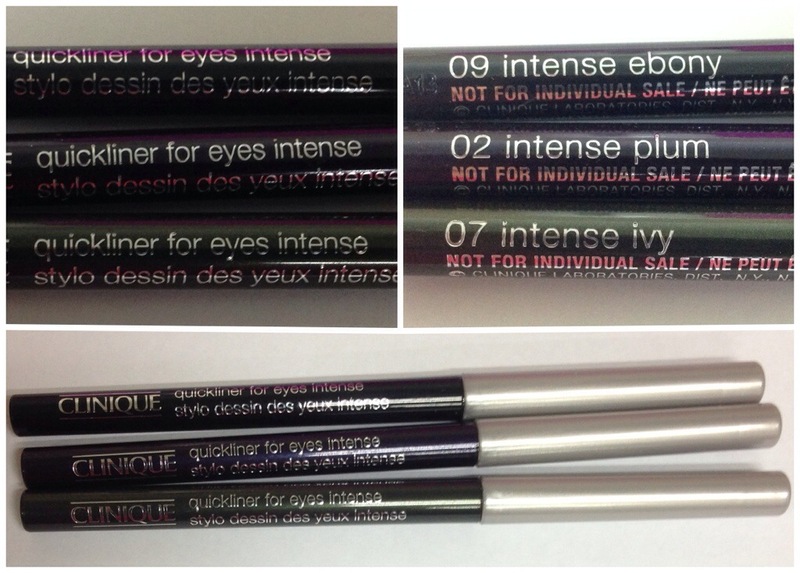 I love eyeliners and I’ve tried plenty of them. 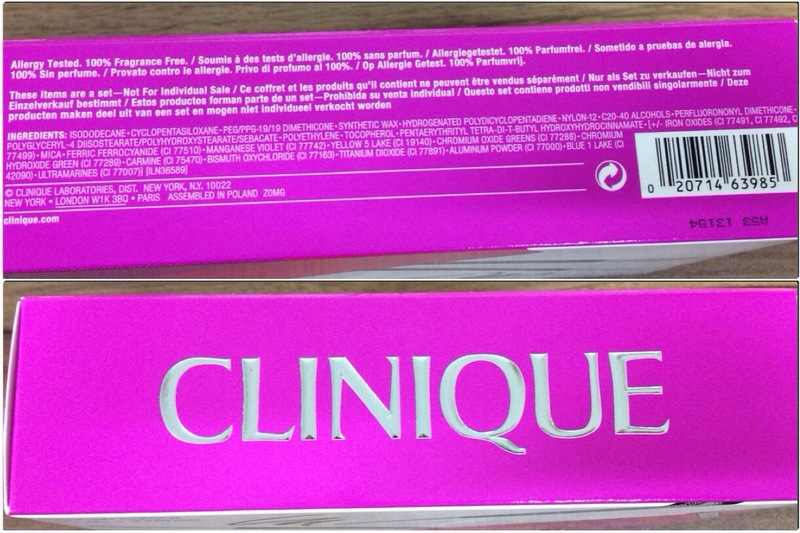 So when I saw Clinique having a liner Christmas pack, I decided to try it and see how it matched up to the rest I owned. 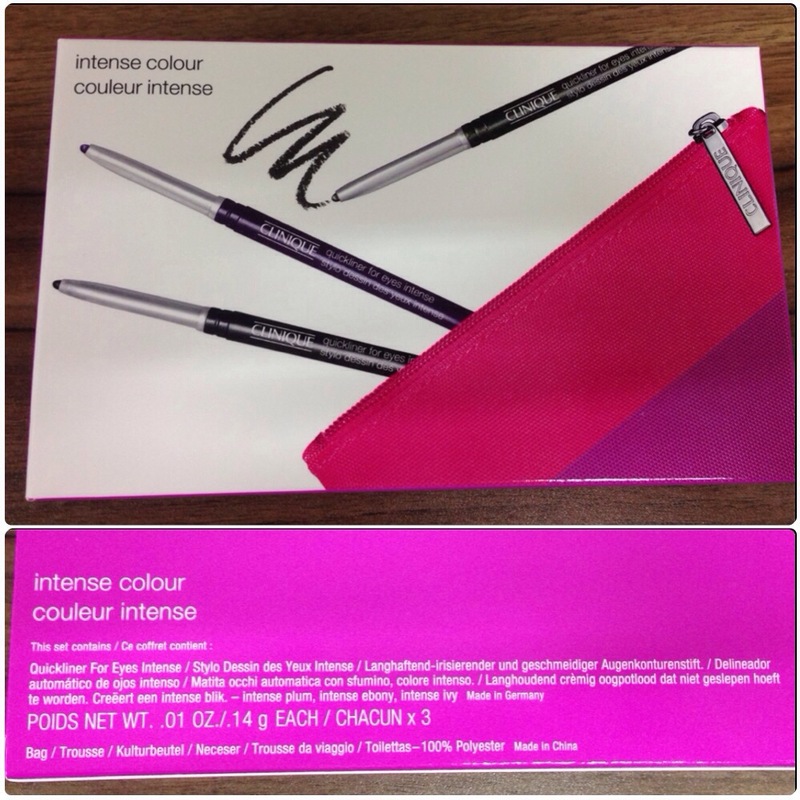 This set of 3 deluxe travel sized liners retail for SGD 45. 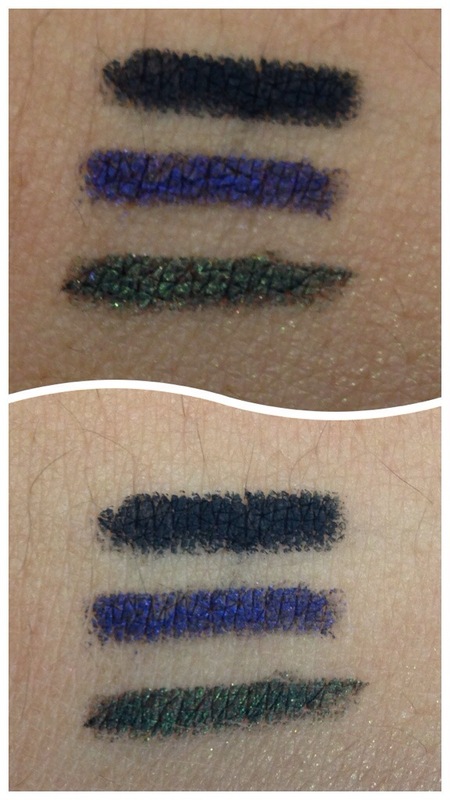 Last picture is using a wet tissue and taking a lot of effort to completely remove the liner. Even left my skin all red and sore. 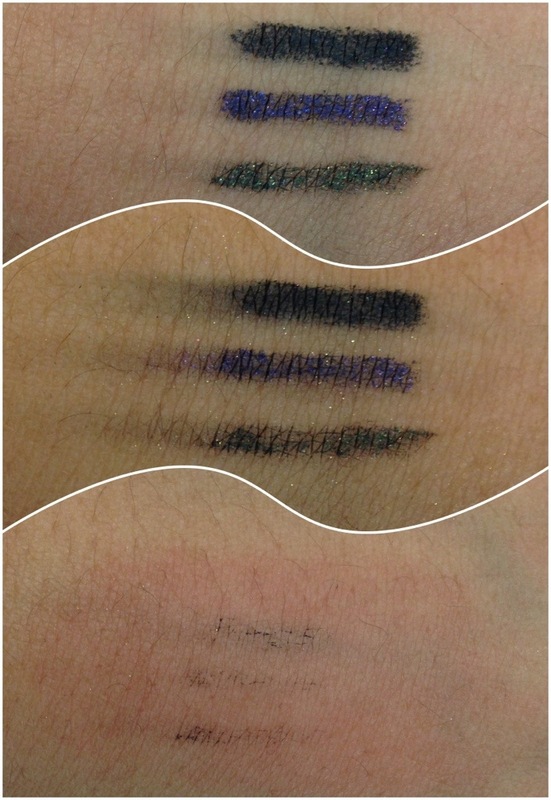 While I find that using the liner in the waterline did not last as long as a MAC pro longwear pencil, it helps tremendously when I use a tissue and run is along my waterline to remove any oil or tears before I apply the liner. So…… The bummer of this product was that it is extremely soft! And!!!!! It is NOT RETRACTABLE! This means that you should only twist as much as you would like to use since it cannot twist back down to keep. 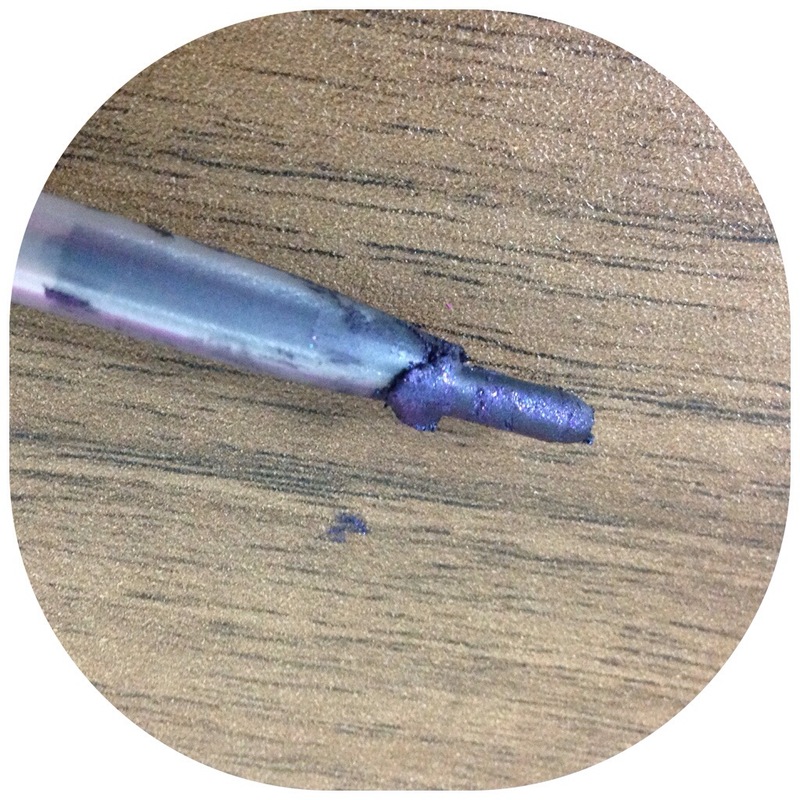 The first time I did this, the entire pencil broke and it became such a mess. So please do keep this in mind: #1 extremely soft #2 cannot retract. 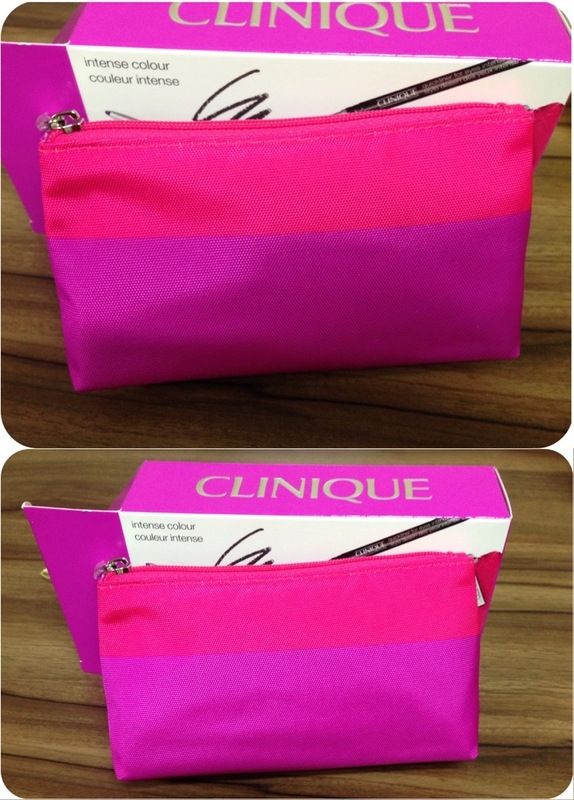 The good thing is that through this experience, I found how good Clinique’s after sales service is. They exchanged the broken pencil for a new one and I went away happy. Being extremely soft also meant that it glided on easily onto my waterline without any tugging.